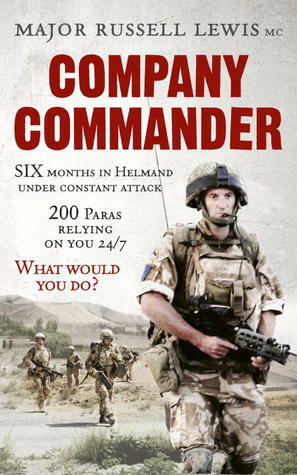 This book is, in fact, the diary written by the author during his tour of duty in Afghanistan. Many in our group found it boring as well as disturbing. We narrowly and decidedly avoided political discussion and any talk of the rights and wrongs of military action! However, a minority very much appreciated the read, and we all felt that we had learned something new about the life of the soldier in combat against guerrilla warfare. This appeared to be an honest account of day to day life. Soldiers who are trained to obey orders, snipers trained to hunt and kill, living in less than comfortable surroundings, cramped,unhygienic, hot, dusty and boring. It was interesting and thought provoking to consider what life is like, for those sent out in our name, to fight for or defend a cause about which we know, or understand little. This was an emotive subject and we made an effort to discuss only the facts. Major Lewis, a Commander in the 2nd Parachute regt,was clearly an honourable leader who cared for his men, shouldering a huge responsibility. He welcomed the opportunity when it came, to talk to a fellow commander, when he visited the base on one occasion. He worked through the stress with regular workouts and by engaging with neurolinguistic programming. There were some few descriptions of the local population and the countryside, and those enriched the content. They gave a glimpse of the life of the local tribe, the leaders of which did on rare occasions meet at the camp with the major and would pass information to him. This was not an exciting,”don’t want to put it down ” read. However it led to an engaging discussion and the subject matter certainly deserves more thought and consideration than many of us give it. The average score was 5 1/2 .